The tentative advances of the traitors upon Taras and Incunabula have not gone unnoticed. Astropathic choirs have reached out to Terra in a plea of desperation, the darkening clouds of war are gathering in the Belt of Iron. The Mechanicum have long expected the descent into civil war and have been busy relocating many of their more esoteric research stations to Arl’yeth and Arachnis. Their extractions from the Incunabula sector were made in haste but they were able to secure at least one valuable asset before making for orbit. The Sigilite knows only too well that a full blown civil war is imminent on both Arachnis and Jerulas Station and has seen fit to put in place counter measures to the tools employed by Horus’ traitors. The tide of war is about to engulf the Belt of Iron as loyalists are dispatched from various former expeditionary fleets to intercept and destroy the war bands of traitor astartes. 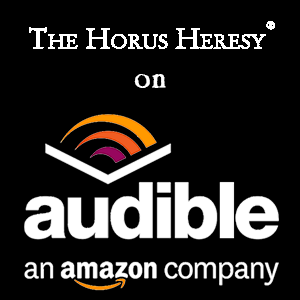 The Horus Heresy will be fought out in the embers of dying worlds within the Belt of Iron. 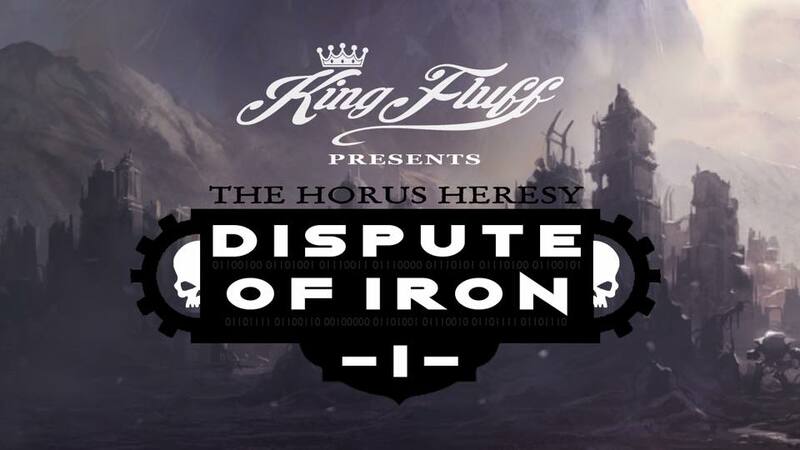 The Dispute of Iron has begun. Players need a 2500pt and a 1000pt list for the event. The weekend will consist of five games of Age of Darkness, each of which, you will have two and a half hours to play that round. Games will be played on a 6’x4’ board and you will be matched against a random player to play against (in the unlikely event of a repeat match up please let the organiser know as quickly as possible so that we can sort out a replacement player for you where possible). Each game will be played using the Age of Darkness Missions found in the Forge World Horus Heresy: Legiones Astartes: Age of Darkness Army List book. Optional Force Organisation Charts are allowed as is the use of Super Heavy detachments and Relics (but bear in mind that your opponent will be grading your army list selection based on how much fun it is to play against). Games 1&2, 4&5 will be singles games using a 2500pt army list. Game 3 will be a mixed doubles game using a 1000pt list per player. As part of the weekends games you will be presented with a custom character progression system – which will be in play across all five games of the weekend (and is a continuation from Betrayal at Incunabula). This gives you the opportunity to take a non-unique/un-named model with the ‘independent character’ special rule and create evocative stories through both their successes and their failures. This is a FUN narrative gaming weekend, where you are encouraged to leave tournament lists at home and instead focus on the game as telling a story rather than checking off another victory. The games will be objective based and have an impact on who is crowned champion – however you’re investment in the wider hobby has much more of an influence on whether you are declared champion than simply winning games. The event will use a unique character development system devised for King Fluff events (see player pack for more details). 7:30pm- 22:00pm ‘Friendly’ break out games/visit to local ale house etc. This event is part of a much wider campaign which will ultimately pit Imperium, Traitor and Xenos forces against each other in the cauldron of war, however for this battle there must be warriors who stand on the shoulders of giants. We will be using a scoring system which will reward the brave and the bold with points in order to hopefully be crowned Champion of Arl’yeth and Tyrant of Arachnis. After each game, each player will grade their opponent based on a set of criteria. This figure will then be multiplied by the number of victory points scored by the player. The criteria will cover sportsmanship, army composition, quality of painting etc. 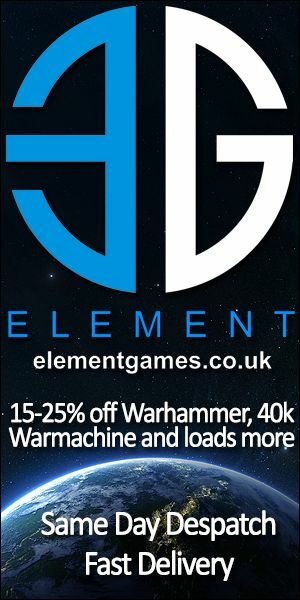 So it is important to note that even though we are asking for fully painted armies, which are based, it is worth putting in extra effort to gain more points at the event.